Delta is a command-line utility for text diffs I've been working on recently. 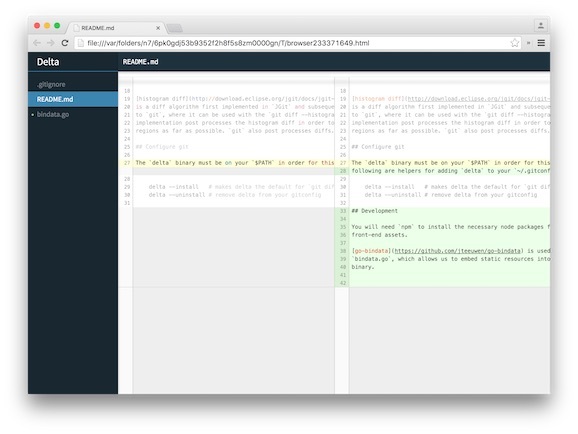 The neat thing about Delta is that it opens split diffs in the browser with syntax highlighting. It's open source, written in Go, and plays well with git.